We were very excited to be back in the Big Apple... and this time in Jackson Heights, New York City! Together with the Joseph Pulitzer Magnet School of Innovation and Applied Learning and our sponsor, Nokia, we invited 75 girls and boys aged 11-15 and offered them a full morning of hands-on activities and workshops around STEM, for a day of interactive, unbelievable fun with Science, Technology, Engineering and Mathematics! When? Friday 9th of November, 2018 from 9:30 a.m. - 1 p.m.
What? Welcoming 75 girls and boys aged 11-15 from local schools to come and join us for a day filled with interactive and hands-on fun in Science, Technology, Engineering and Mathematics. Sharon Rosen currently works with educators from across New York City to help them design and implement innovative magnet programs that integrate STEM competencies across the curriculum. Before beginning her career with the New York City Department of Education, Sharon toured the United States with a small theater company where she worked as an actress and teaching artist to write, produce and perform original material. 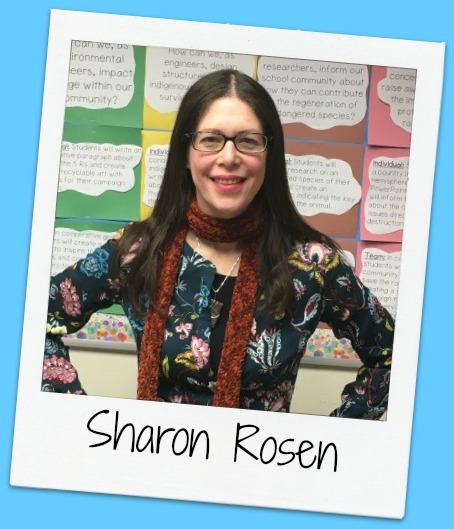 When she is not working with Magnet schools, Sharon enjoys going to the theater, rooting for the NY Mets, and “nerding out” with Scrabble, Wordscapes, and the New York Times Crossword Puzzle. Sharon had a blast working with G4G in 2017, and she is excited to work with them again this year! Ellen is a Project Director/STEM Coordinator/Curriculum Specialist with Magnet Schools for the NYC Department of Education. She supports schools in building strong magnet programs, specifically helping in the design of STEM-themed project-based learning units of study, organizing engaging partnerships, planning STEM family and community events, and helping bring innovative technology into schools. She believes that through access to a robust STEM education, all children will be empowered to achieve any future they can imagine. Jayme Klapman is a graduate of State University of New York College at Old Westbury where she received her BS in secondary education with a oncentration in Mathematics. She then went on to receive two masters at Hofstra University in Special Education and Technology of Learning. Jayme had been teaching for twelve years. This is her second year as a Magnet Resource Specialist at The Magnet School of Innovation and Applied Learning at I.S. 145Q. She loves to share her love of math, technology and engineering in her position. José Mateo is currently one of the Magnet Resource Specialist at I.S. 145 School of Innovation and Applied Learning. He is currently in his 15 year in the NYC Department of Education working at his alma mater. He holds both a Masters in TESOL and in Administration. José oversees the integration and implementation of all technology at I.S. 145 Q and provides support to both teachers and the administration team through professional development and co-teaching. He loves infusing technology in everyday task.